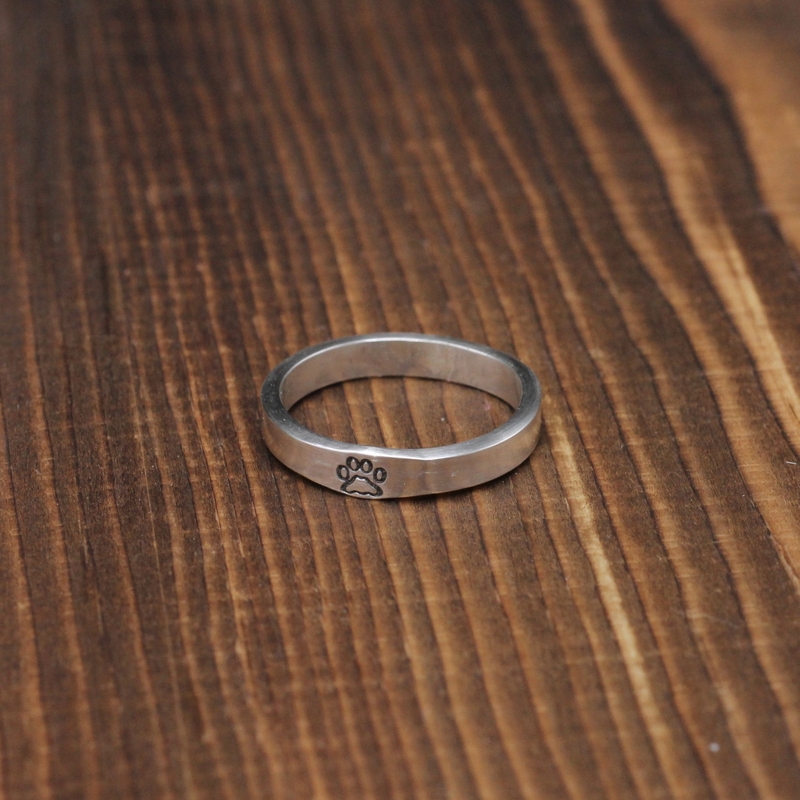 This sterling silver paw print ring was created by stamping a paw print by hand onto a strip of sterling silver wire. 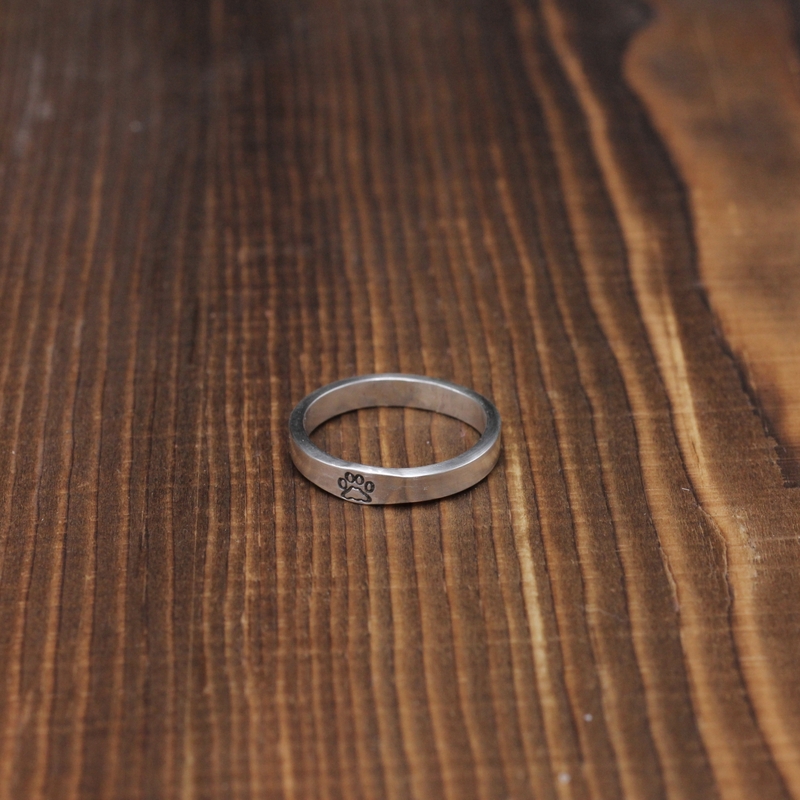 The wire is then formed into a ring band and polished. 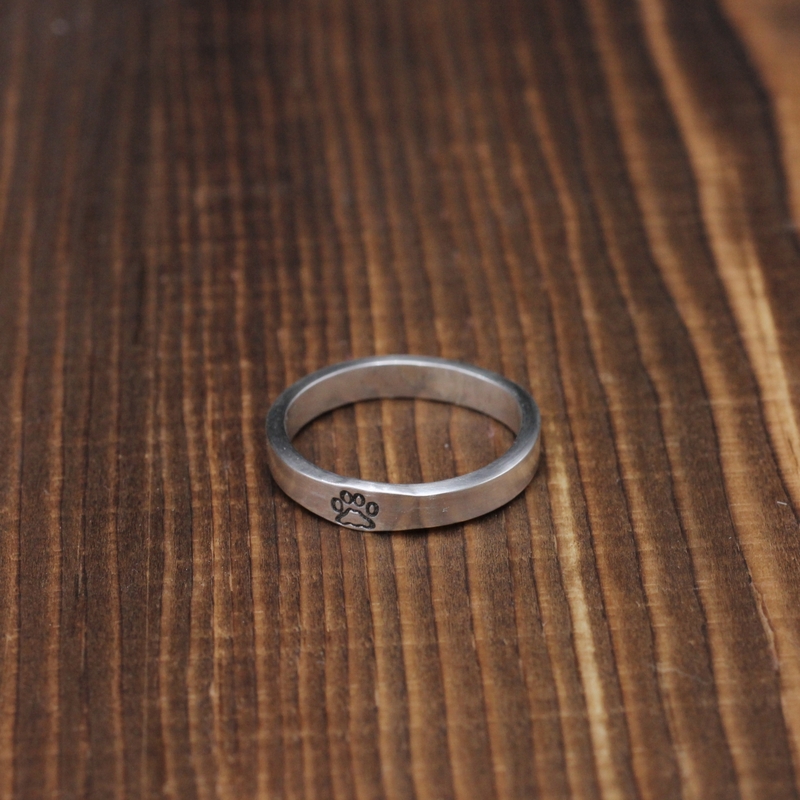 I am able to personalize this ring by stamping a word, date, or short phrase to the back or inside if you would like. Simply leave a note when you check out. 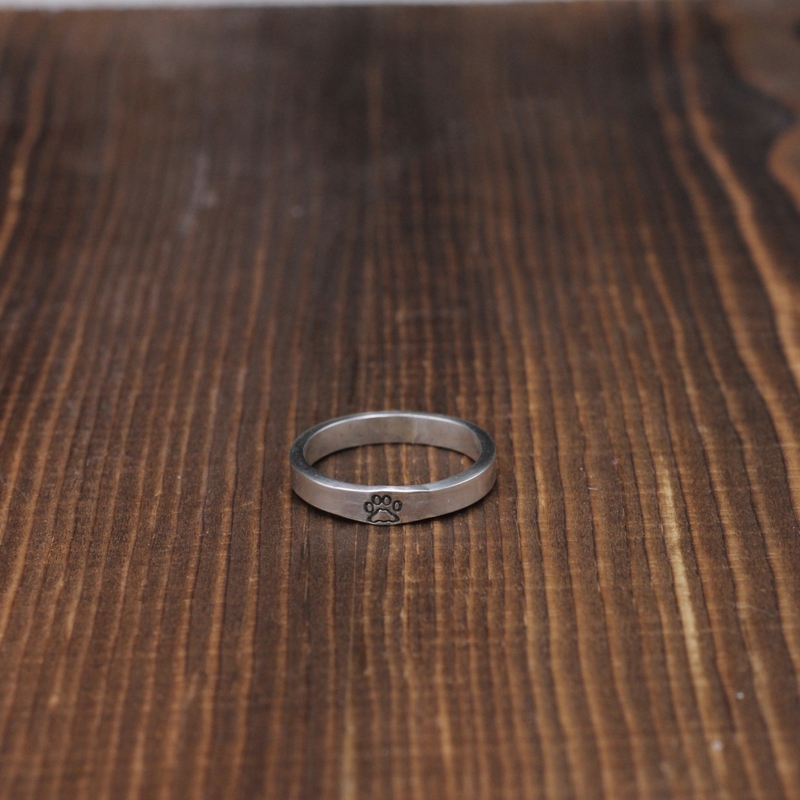 This ring measures 3mm wide and can be stacked with other rings.